Doi Pui Hmong hill tribe village is set amongst the peaks of Doi Suthep. 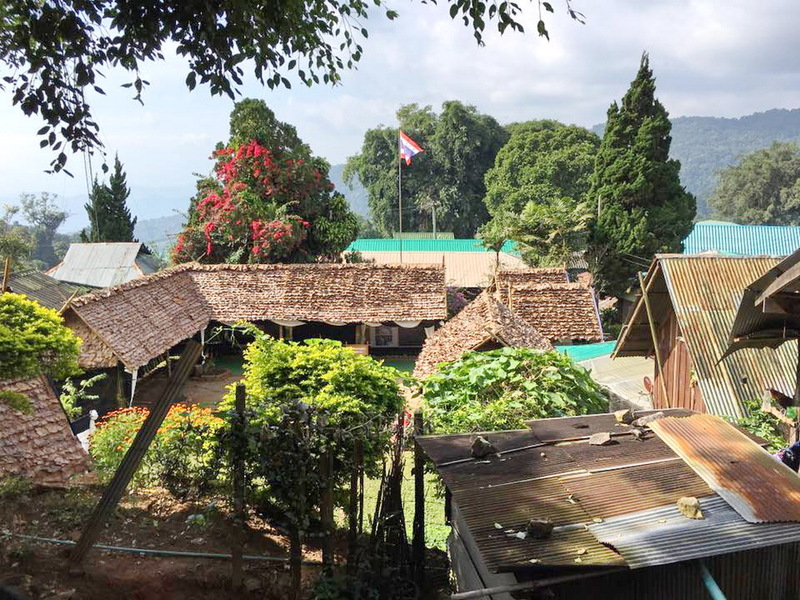 Doi Pui Hmong hill tribe village or Meo hill tribe village is accessible via the mountainous road from Chiang Mai to Doi Suthep-Pui National Park. 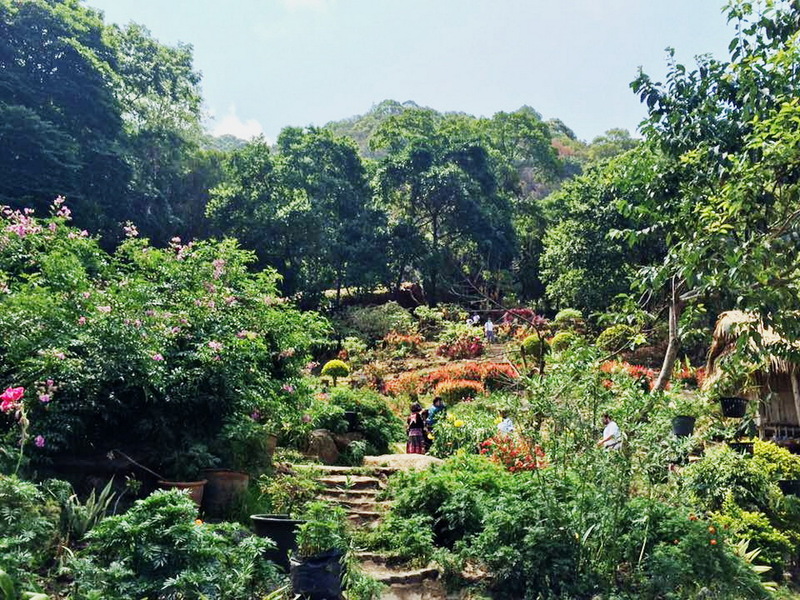 Doi Pui Hmong hill tribe village is about 4 kilometers further uphill from Wat Phrathat Doi Suthep. In the past, this road was rather folksy, but as the popularity of the village keeps rising, access has been made easier. 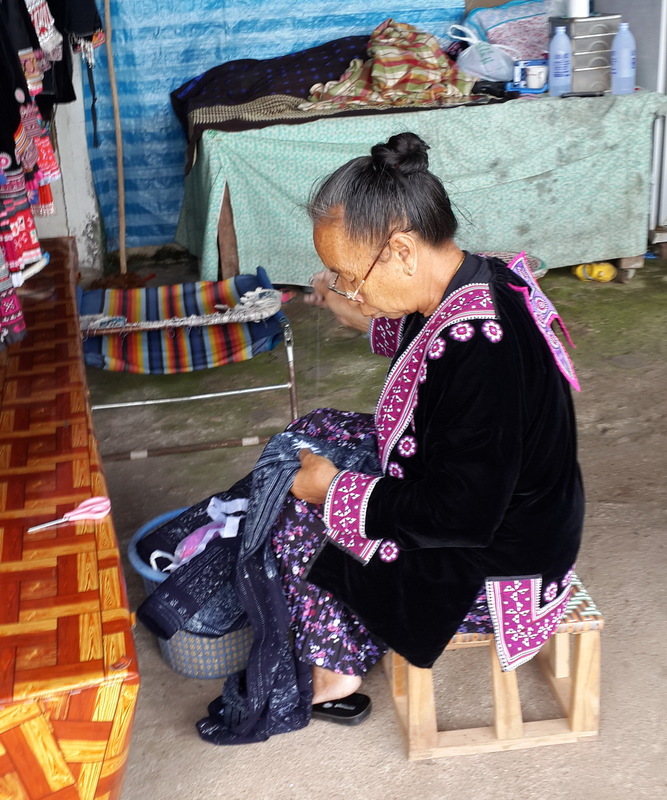 This village is home to more than 1000 households of the Hmong people, who still wear traditional costumes and dwell in rather `conservative' homes. Their livelihood depends not on the swiddening agriculture of the past, but merchandising. 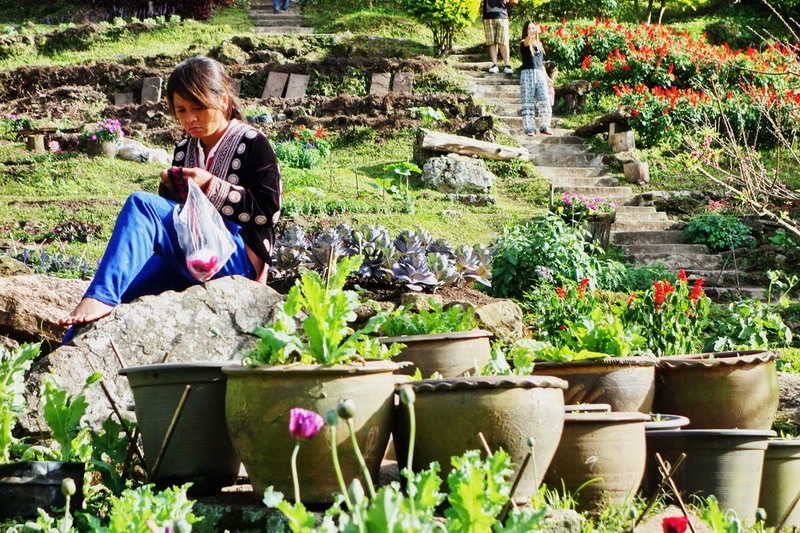 Like most ethnic hill-tribes of Northern Thailand, the Doi Pui Hmong people used to cultivate opium poppies for a living. But after majesty the King gave Thai nationality to the villagers and introduced them to lychee cultivation by offering 16 lychee trees for each household. As a result, the villagers stopped opium cultivation permanently in 1972. 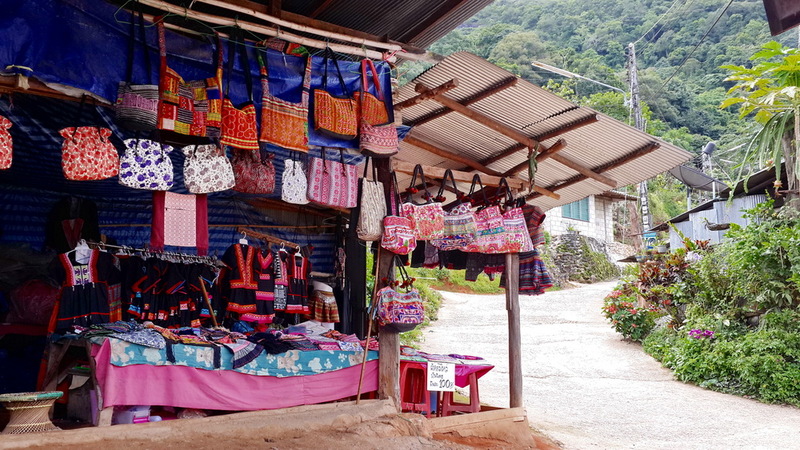 The Hmong villagers now make an income from selling agricultural products, entertaining tourists and selling tribal souvenirs. From car park, as you start to walk up the hill towards the village there are loads of little shops selling various items from fruits to clothing to food and drinks, this is probably the cheapest place you will find to buy Thai silk. Hiring a student guide from the main square is useful, as the guides are small girls in native attire that can get you to the museum and garden. A small hill-tribe museum is well worth the 10 baht fee, which also includes entrance to some gardens where you can have your photo taken in front of their opium poppy plot in full Hmong regalia. 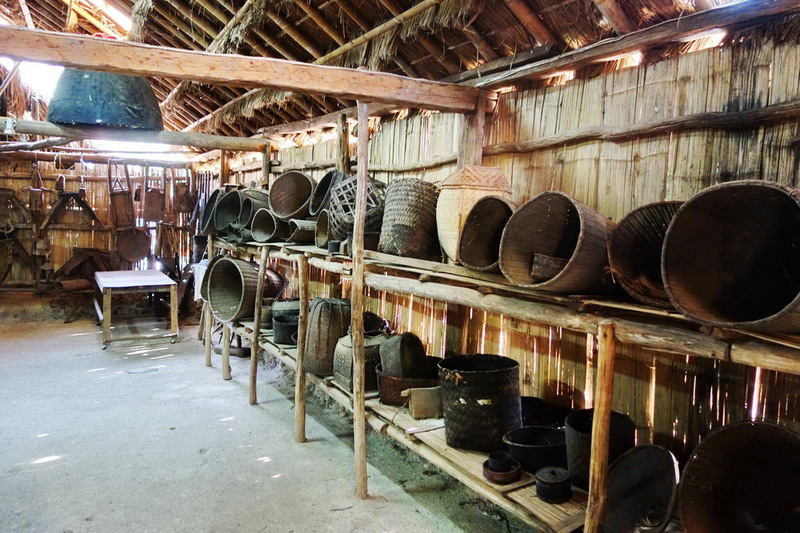 Hill Tribes Museum and Outdoor Museum; established in 1984, the museum illustrates the history of each Hill Tribe and their tools. There are also models of Hmong and Karen houses to show local ways of life. Guests can see local activities, e.g., Hmong and Karen mortar for pounding paddy to separate the grains from the chaffs - representing the community unity. On a good days the views are awesome and you can walk around until you come across “Poi Doi waterfall”, at this time of the year it had some water but there was none during November, a very pretty place and if you wish you can hire a local Hmong hill tribe clothing garb for only 50 Baht, something different to show friends and family. Some nice open grass roofed huts to shelter from the sun or rain and have a look around at the beauty of this place including the giant bamboo. On your way out from the gardens at the bottom walkway they have an example of the opium plant or in Thai “Dok Fin”, they don’t grow or sell opium here but it was nice to see an example. Try shooting the crossbows they make, they are surprisingly accurate. Some of the older posts on the internet regarding Hill-Tribe villages have made negative comments about the Doi Pui Hmong Hilltribe Village, however everyone that I have taken here has totally enjoyed their visit, and been impressed by what they have seen. Come with us, observe, and make your own decision. How to get to Doi Pui Hmong Hill Tribe Village? Common tour packages that you can buy in town usually include a visit to Phra Tha t Doi Suthep temple, the Bhubing Royal Palace and this village, completing three essential stops on this mountain, plus or minus a handful of waterfalls. Cars and motorbikes, in normal condition, can reach the village without any problems. Bicyclists can enjoy this road too. If you don't have any one of these forms of transport, you can get yourself into one of the songtaews (Red Truck) going up to Doi Suthep and arrange to be taken further. (The stand is in front of the main gate of Chiang Mai University).